This week on The Scene, we talk with drummer Thomas Wendt about saxophonist, composer and arranger Gigi Gryce, the subject of a Sunday concert and discovery by Lighthouse Arts at Heid House in Aspinwall. We also hear music of bassist Ron Carter, in a the Greer Cabaret, downtown Pittsburgh with his current quartet on April 23. Award-winning vocalist Jazzmeia Horn will come to the August Wilson Center April 19 - we have a wonderful cut with her to share. 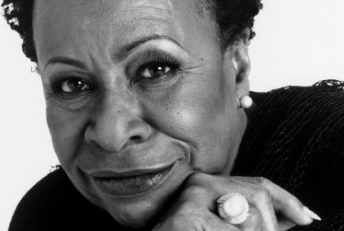 There’s also great connections to Gigi Gryce and Jazzmeia Horn and Pittsburgh to a new release just out from a newly rediscovered concert recording of legendary jazz vocalist Betty Carter - we’ll reveal three cuts from the new CD on the show, and share some stories behind it - Betty Carter - The Music Never Stops. We also anticipate the 33rd anniversary of B-PEP Jazz, coming to the Heinz History Center, Monday April 23 with some sounds of of the 70 jazz notables expected to attend, Harold Betters.